24 August 2018 – PAYCE today announced the sales launch of Vivid at South Village – a key element of its urban renewal project at Kirrawee in the city’s south. 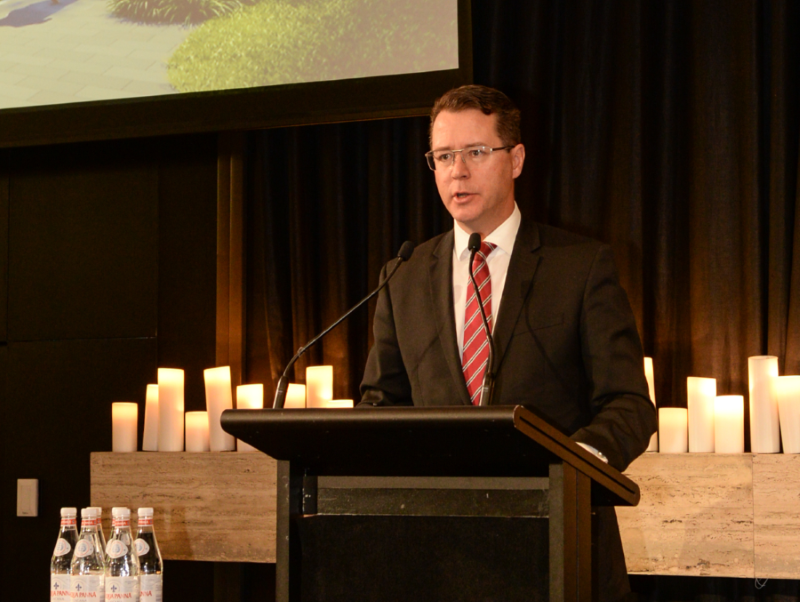 Boston Marketing director Rhys Morgan told a business lunch that a total of 63 units were now on the market. This will include 11 one bed, 47 two bed and five three bed apartments. “This is a rare opportunity for buyers to invest in the South Village urban renewal project,” Mr Morgan said. “South Village is surrounded by some of Australia’s best National Parks, beaches, rivers, and bays, yet is only a 33-minute train ride to Central. Mr Morgan said work on the retail component of South Village was underway. “South Village offers Coles and Aldi supermarkets and approximately 27 specialty stores included cafes and restaurants curated for convenience and expected to open in November this year.” he said. The focal point for the community is a 9,000 square metre park – an area which is equivalent to two soccer fields. Kirrawee rates highly as an investment location, is ranked fourth out of 34 suburbs for rental income return and has an estimated vacancy rate of just 0.7 percent. “This all adds up to make Vivid a great investment and a great place to live,” Mr Morgan said. PAYCE director Dominic Sullivan said the company was keen to replicate the success of the award-winning East Village project at Zetland. “Our focus is not to just build quality developments, but to create new communities from the ground up,” Mr Sullivan said.